The first concert I ever attended was on June 3, 1978 at Nassau Coliseum on Long Island. Unfortunately, the performer was Bruce Springsteen. I say unfortunately, because as any number of rock ‘n’ roll enthusiasts will tell you, Bruce Springsteen just may be the best live performer on Earth. And so after experiencing his speaker-climbing, story-telling, crowd-surfing, three-plus-hour extravaganza, I simply assumed this was the norm for live concerts. Seeing Springsteen first and then moving on to other concerts was the musical equivalent of dating Farrah Fawcett in high school and then moving on to other women (don’t judge me, it was the seventies). And so, having been disappointed over the years, when it comes to concerts I lean towards indifference. Not so much for their musical talents (I don’t know enough to measure those anyway), but rather, for their versatility and word play. From Hey, Soul Sister, to Drops of Jupiter, to Drive By, to Marry Me, I am constantly amazed by the range of songs I hear (and like) and the inventiveness of their lyrics. And so when my wife Linda surprised me for Father’s Day with tickets to see the band last week, I was eager to attend. Small clutch bags, approximately the size of a hand. That’s a pretty short list (and a long way from the days when security was so lax that people would literally sneak in full-size video cameras in a backpack). But it’s their venue, and they make the rules. 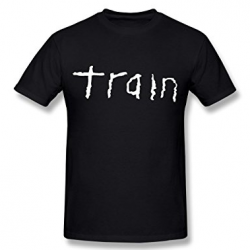 If I wanted to see Train, I had no choice but to follow them. How about you? You may not own and operate a stadium, but when it comes to working with clients, you, too, get to decide who gets in, who doesn’t, and under what circumstances. Most solos and small professional service firms, however, don’t think this way. After all, we need clients. As long as someone is willing to hire us, our job is to do what they want, how they want it, and when. Right? We are professionals, engaging in a mutually satisfying and productive arrangement between two parties, EITHER ONE OF WHOM has the right to set the terms by which they are willing to move forward. Employees follow rules. Independent professionals make them. We require a 50% deposit up front before beginning work. I am available between 8 AM and 6 PM weekdays. We don’t work without a signed contract. We never reduce the fee without taking something of equal value off the table. I require a minimum of $X if I need to travel overnight. These are just examples. I’m not suggesting you use these in particular or that you post these rules on your web site. I am suggesting, though, that you take some time to develop a set of your own and that you write them down for yourself. Doing so gives them power – the kind of power you’ll need when times are tight and you’re tempted to let anybody, no matter how they behave or what’s hidden in their backpack, walk past security and into your venue. We often forget that the relationship should be a mutually beneficial one. This was a wonderful article to make us understand just what is involved with a business relationship. Great points, both about Springsteen (the best performance of any band I have seen, including — dare I say this — the Rolling Stones) and about setting rules of engagement. I have a colleague who often responds to clients during the evenings and weekends and is unhappy about it, but never sets the boundaries that these times are unavailable. I know, subtle things like that make a difference. On the flip side, back when I had a job I had a client whose voicemail had a timestamp on it (rare at the time). He liked thinking that I was working hard for him, so I would deliberately call and leave messages late at night! 1. First concert – Billy Joel, still my favorite artist. Still a great concert. Saw him just last November at MSG in NYC. 2. Would love to see Train. I’ll have to pay more attention to their lyrics. 3. I don’t work with people I don’t like. And I fire clients I realize I don’t like after working with them. It’s one of my favorite things about being a solo! Hate to miss the ice cream social – again. Enjoy your summer!!! I was quite pleased with Train. Rare to attend a concert where you’re not a huge fan and still recognize two thirds of the songs! Hope you can make the party next year, enjoy the summer! Good message; the story reminded me of my own experience. Loved this line, Bob, “we ended up playing by her rules, not mine.” And I’m glad you corrected so well and 34 years in! Yep, I think defining the rules always works well! Glad it’s worked for you, Graeme. 1) Janet Jackson at Madison Square Garden in 1993. 2) I do like Train and agree that their music is quite varied. They definitely “play more than four or five songs.” Meet Virginia is my favorite. 3) My rules of engagement include “I have a fee for on-site meetings that includes round trip travel time” [It’s mind boggling how many clients expect me to attend a face-to-face project meeting without compensation.] and “I require acknowledgment on scientific publications that I write, in accordance with Good Publication Practice.” These two rules are stated in my contract. I’m sad to say I will miss the ice cream party this year, as I’ll be away that day. I know it will be a fun time. What?! Missing the party? I hope you intend to send a suitable substitute (we will miss you). And I like your two rules. Your first concert was in in 1993? Either you are a late bloomer or (way more likely) you are much younger than I (sigh). Thanks! I’ll definitely be missing the fun and ice cream. Next year indeed! I did not have the poster (although I confess to an equally terrific Linda Ronstadt poster on my freshman dorm wall!). Great story too about the history of the Farrah poster. Thanks! Well with Springsteen “You Never Can Tell”. Why “The Boss” is the boss. Enjoy.